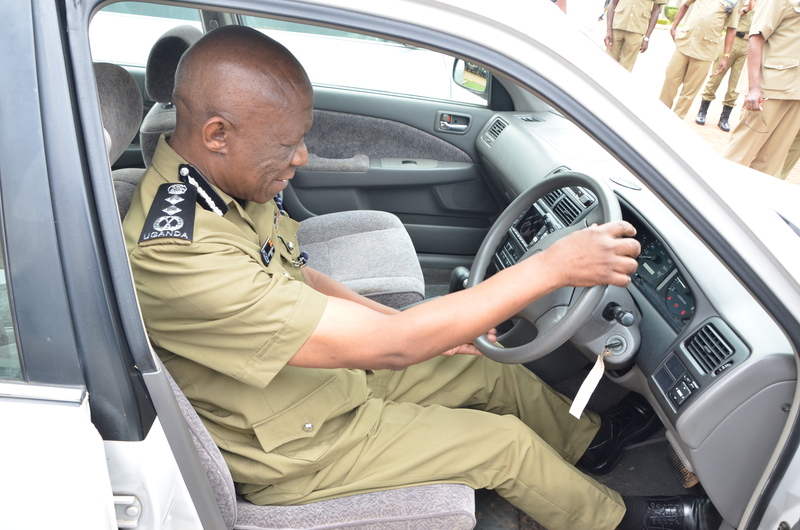 KAMPALA – The Inspector General Police Martins Okoth-Ochola has Thursday December 20 launched seven units of saloon vehicles, for the Directorate of Criminal Investigations, as part of a long running campaign and strategy to reduce city crime. The fleet of vehicles according to IGP Ochola shall be used for a variety of CID tasks ranging from the day-to-day activities of responding and documenting crime scenes. Other activities include arresting and transporting suspects, facilitating movement of witnesses and victims, corresponding with other stakeholders in the criminal justice system among others; which he said are not only essential in the fight against crime but will also improve public confidence in police work. He said fleet is being allocated to seven regions, that include; Wamala, Katonga, Savannah, Sezibwa, Busoga East, Greater Bushenyi and Greater Masaka, to purposely help them provide an effective and efficient response to CID work by providing a more visible and reassuring policing presence by the CID, across their respective regions, some of which are covert in nature. “An additional 15 motor vehicles have been procured and will be allocated to the following regional CID offices; KMP, Bukedi, Elgon, Busoga North, Aswa, West Nile, Sipi, Rwenzori East, Mt. Moroto and Kidepo,” he said. He added that the force has plans to procure more specialist vehicles for other units as well that will include; Forensic services, Traffic, Counter-Terrorism, Fire and Rescue, Medical services and other operational requirements. IGP Ochola also assured the Public that Police will ensure, there is value for money on all equipment procured.